Professional experience is a critical, compulsory component of the Bachelor of Primary Education degrees which is viewed as the nexus between university coursework, the work of schools and the development of a skilled and dedicated educator. This program helps teacher education students attain the requisite knowledge, skills, values and attitudes to plan for and manage successful learning. Professional experience endeavours to facilitate teacher education students to develop the commitment, enthusiasm and interpersonal skills to assume a professional role within school and their broader communities and to contribute to the operations of a school as a whole. 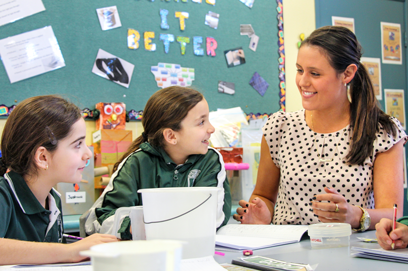 Professional Experience is designed to assist teacher education students to meet the Australian Graduate Teacher Standards. In particular, the Professional Experience Program has been structured in such a way as to ensure that teacher education students develop the domains of knowledge, practice and commitment documented in these standards.